The NGAUGE is built on GWR technology - “Guided Wave Radar”. A high-speed pulse is launched down the probe, reflects off the surface of the liquid and returns back to the probe, where the total flight time of the pulse is calculated, and thus the level is measured. Liquid level/volume is shown on a digital d isplay using user defined units (gallons, litres). 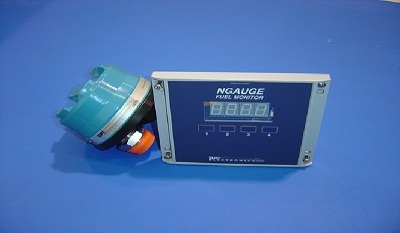 The sensor is customized to the exact tank dimensions, and programmed with overfill alarms. Copyright © 2007 - 2018 NRE Calgary. All rights reserved.